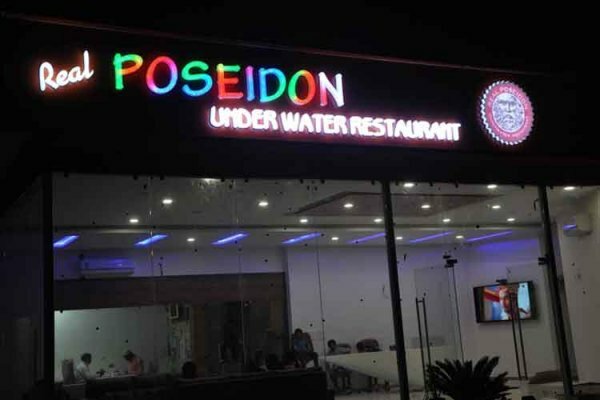 Real Poseidon is one of the first Underwater Restaurants of Gujarat as well as India. Poseidon means God of Sea. 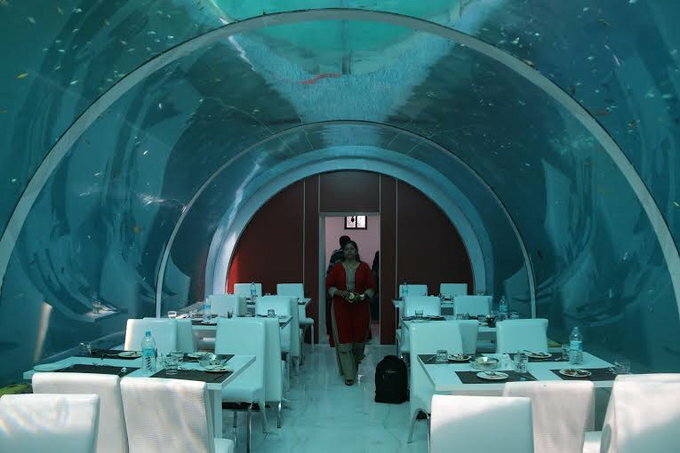 This Restaurant offers a Unique and Most amazing Underwater Dining Experience. There is a huge Aquarium which houses the Restaurant is a habitat of World's Finest Species of Fishes. With total 4000 fishes around, you can enjoy pure vegetarian lunch / dinner. Real Poseidon Restaurant serves a wide range of cuisine which includes Indian, Chinese, Thai and Mexican. Real Poseidon is best place to look for Underwater Lovers. So you must go and Experience the uniqueness of this restaurant in your life........!!! Any idea what will be the cost for 2 pax for a four course meals? 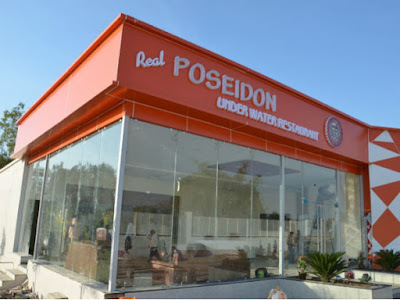 Hi Keyur, @ Real Poseidon is as below. This is price for the one person? Do the restaurant offer Jain food?? Do the restaurant offer Jain food?? ?